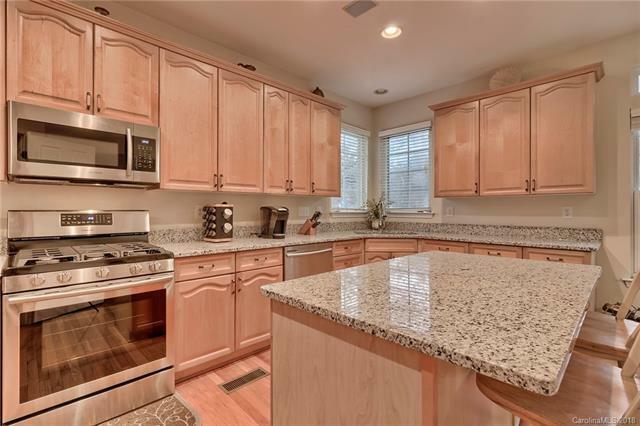 A wonderful Ballantyne home for a fantastic price! Very spacious, stately brick front home on corner lot in the established Kenilworth neighborhood right off Johnston Road. Quick access to 485, Ardrey Kell, Indian Land/Fort Mill, dining and shopping. Low HOA and excellent schools to top it off. In the home, you'll love the natural sunlight, incredibly large kitchen with BRAND NEW APPLIANCES and granite countertops perfect for entertaining, and great room for a cozy movie night by the fireplace. Perfect sized bedrooms, and an owners suite ready for you. Oversized front yard and side-load garage.